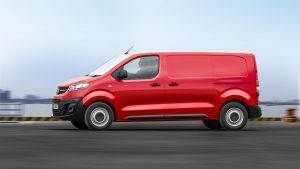 One of the first products to come out of the new Groupe PSA/Vauxhall association is a replacement for the Vivaro van. No surprises here as it looks awfy like the Citroen Dispatch and Peugeot Expert. That’s no bad thing as this an excellent medium sized van, and it looks pretty good too. Perhaps just as important to some is the fact that it will be built at Luton thus remaining as the only LCV to be built in Britain. Although not due to land in showrooms until the Summer months, orders can be placed now to get ahead of the rush. This third generation Vivaro is a based on a brand new platform and will be available in two lengths – L1H1 4.95m and L2H1 5.30m, with interior floor lengths of 3.67 and 4.02 mtrs. Body styles include panel van, doublecab for up to six occupants and a platform chassis. The Sportive models start from just over £24,000 and will have a higher specification than the outgoing model with standard equipment including body coloured mirrors, handles and body side mouldings, alarm, auto lights and wipers, acoustic windscreen and thickened side glazing. Costing 1500 quid more is the top-of-the range Elite model with all the latest safety technology as standard including Lane Departure Warning, Speed Limit Information, Intelligent Speed Adaptation, Driver Attention Alert Level Three and Blind Spot Detection. 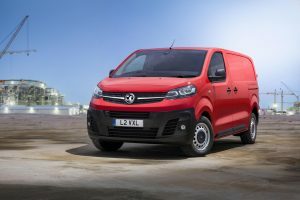 The new Vivaro will help secure 1,250 jobs at its manufacturing plant in Luton where over one million Vivaro-type vans have been built since production started in 2001. Investment in the new vehicle will help increase the plant’s production capacity to 100,000 units per year. 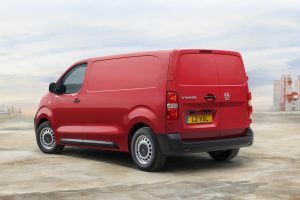 With a maximum cargo capacity of 6.6m3, the new Vivaro has a payload of up to 1,400kg, 200kg more than its predecessor. The same applies to towing weights: the maximum trailer load is 2,500kg, 500kg more than the outgoing model. That’s quite impressive for a medium sized van and of interest to those towing large enclosed car trailers around the country. Objects up to 4.02m long can be stowed securely in the 5.30m version thanks to FlexCargo, an optional load-through flap under the front passenger seat. Adding to its office on wheels credentials, the FlexCargo system includes a middle seat which folds down to become a ‘desktop’. Automatic sliding side doors are also available for the first time on Vivaro operated by waggling your foot under the rear corner of the van. Vauxhall’s advanced IntelliGrip traction control system is an optional extra for those folk working on off-road construction sites, agriculture or forestry, or quite simply for added safety and security on snow and ice and comes with higher ground clearance and underbody protection. Engine choice at present comprises either a 1.6 or 2 litre diesel with power options from 95hp up to 180hp with either a manual or 6 speed auto while a purely electric version is on the cards for 2020. 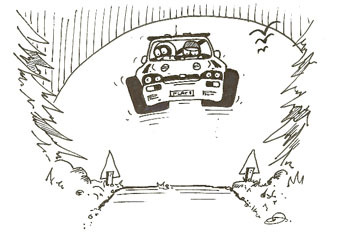 There will be a full road test here in due course.